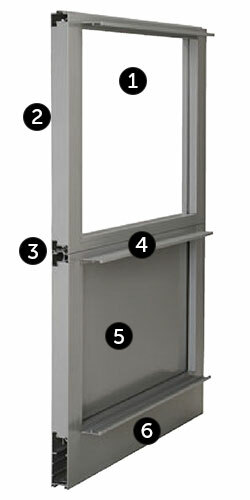 The Wayne Dalton Model K-AL Aluminum Full-View Door is sturdy, virtually maintenance free and weather-resistant. 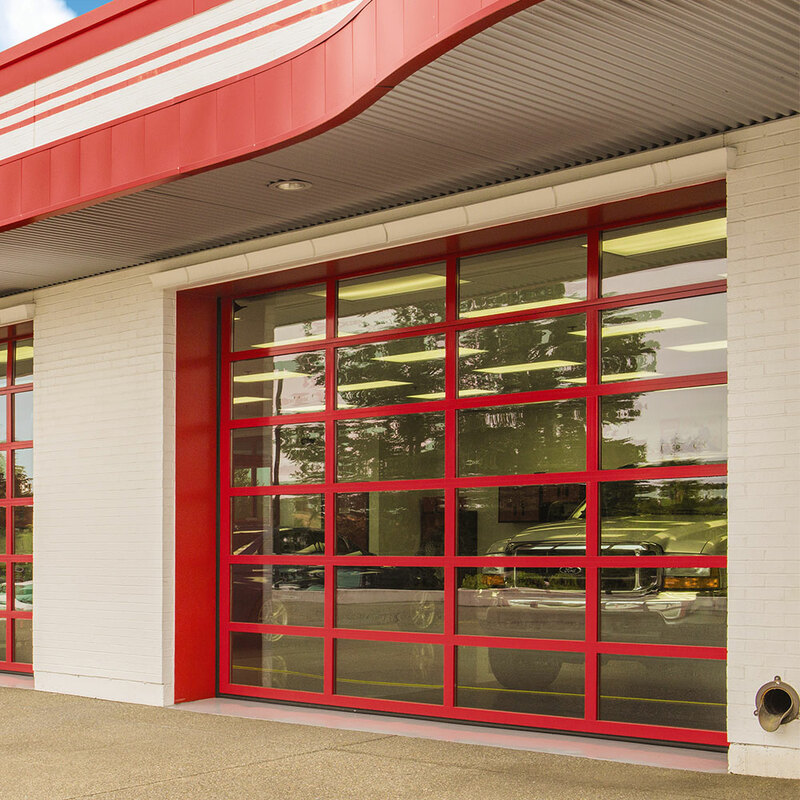 This commercial glass sectional door is ideal for a variety of applications ranging from car washes and tire stores to store fronts and other buildings where you want to increase visibility and allow more light to enter the interior. Model K-AL is offered with a wide range of glass options and frame finishes, as well as optional insulated rails and stiles. Model K-AL is available in the Western region of the United States. Please see your Wayne Dalton dealer for more information. 6” bottom rail with integral reinforcing fin on doors over 16’2” wide. Optional on narrower doors. Insulated rails and stiles are available as an option. Foamed-in-place polyurethane insulation fills the rails and stiles providing enhanced thermal efficiency that adds R-value* of up to 4.25 on the door. 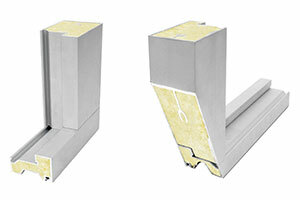 Polyurethane insulation in the rails and stiles are an available option. Polyurethane insulation fills the entire cavity and offers better R-value per inch than polystyrene insulation. Special glass types that are not listed are available. Please consult factory. Solid aluminum, perforated aluminum or expanded mesh aluminum panels may be specified in lieu of glass. Lock options: interior mounted slide lock with interlock switch for automatic operator, keyed lock, keyed lock with interlock switch for automatic operator. Weather stripping: jamb and header seals.